After a four-day break in baseball action due to the All-Star game and its surrounding festivities up at Target Field, baseball returns tonight. With a full, fifteen game slate set to get the second half of the season going, there are a ton of story lines that are sure to make this portion of the season one of the most captivating in years. With that in mind, I wanted to go over just a few of the topics worth keeping an eye on in the two and a half months before the postseason rolls around, with my prediction/thoughts on what will take place. – Which players will be traded before the trade deadline on July 31st? As of right now — though the likes of Chase Utley, Huston Street and Adrian Beltre have been tossed around — the two players in the spotlight the most when it comes to trade discussion are David Price and Matt Kemp. Both Price and Kemp have been apart of trade talks for awhile, but neither has gone anywhere as of yet. But many people are expecting that to change fairly soon. Price hasn’t been having the type of season that he had a couple of years ago, but he’s still one of the top pitchers in the game today, who will likely bring the Rays a good amount in return, should they decide to deal him. Kemp is in slightly a different situation that Price, as Price has noted that he doesn’t necessarily want to leave, but Kemp is open to a trade, seeing that he’s currently not being used as an everyday player. Though Kemp has been struggling for a good bit of time due to injuries, when he’s healthy, he’s one of the top superstars in all of baseball. With the outfield situation the Dodgers currently hold — five outfielders for three spots — Kemp will likely be heading somewhere soon. – Will Jose Abreu break Mark McGwire’s rookie home run mark? 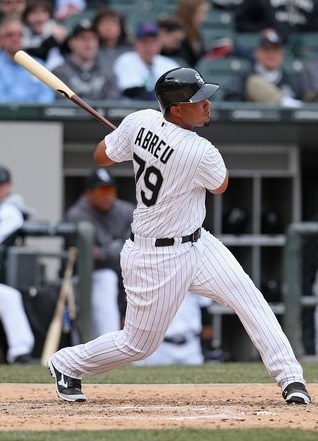 When Jose Abreu came to the White Sox from Cuba, no one knew fully what to expect from him. But after his first month in the big leagues, everyone knew he was going to be a star for years to come. The first year All-Star set a new rookie home run record for a player’s first month in the majors, and is on the verge of breaking an even bigger record — the most home runs in a season by a rookie. Mark McGwire set the bar high back in 1987 when he slugged 49 home runs for the Athletics, but Abreu is currently on pace to hit 50 in this his rookie campaign. Even if he doesn’t quite reach that amazing milestone, Abreu is nearly a lock to do what McGwire achieved — win the American League Rookie of the Year award. – Of the players with poor first halves, which will have a breakout second half? No player carries the hype that the Nationals’ Bryce Harper does. Coming up back in 2012 and winning the National League Rookie of the Year award, Harper hasn’t yet been able to have the monster season that people had predicted him to put together. Thanks to an injury this season, Harper has played in a mere 34 games to this point, but with him finally healthy, Harper is looking to turn things around and have a breakout second half to the season. With the Nationals tied with the Braves for first place in the division, they could really use a surge from Harper, who has clearly made known that he loves the spotlight. This is his chance to shine. The Red Sox have failed to meet expectations this season after winning the World Series last year, sitting tied for last place in the American League east with the Rays. Part of the reason for the subpar year to this point has been the subpar performances by many of the players who made big impacts last year, including Xander Bogaerts. Bogaerts came up for the very last portion of the 2013 season, but he flipped a switch in the postseason, getting important hits in big spots and helping to lead the Red Sox to the championship title. With such a great showing, many people made the prediction that he would make the run for Rookie of the Year this season. Though that’s not going to happen, look for Bogaerts to begin to find his groove in the remainder of the Sox’ games. He’s extremely talented and will surely be able to get things going. 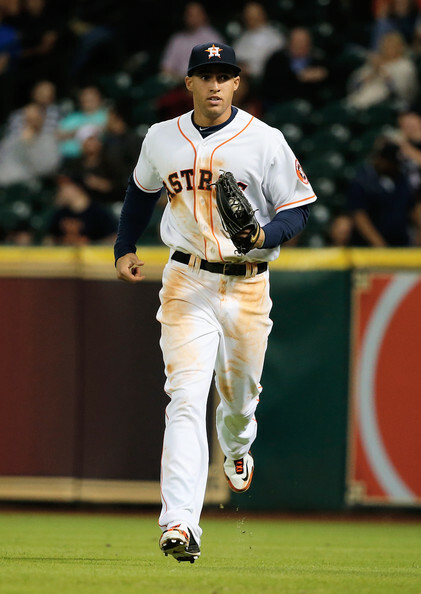 George Springer is having a great season for the Astros, leading the team in RBI’s and tied for the lead in home runs. The only knock to what would be a promising Rookie of the Year campaign is his low .200’s batting average. That’s the one thing that Springer needs to turn around to become the all around star player that people feel he can become. His power has been evident this year, as has the ability to come through in big spots; and his defense has been impressive as well. 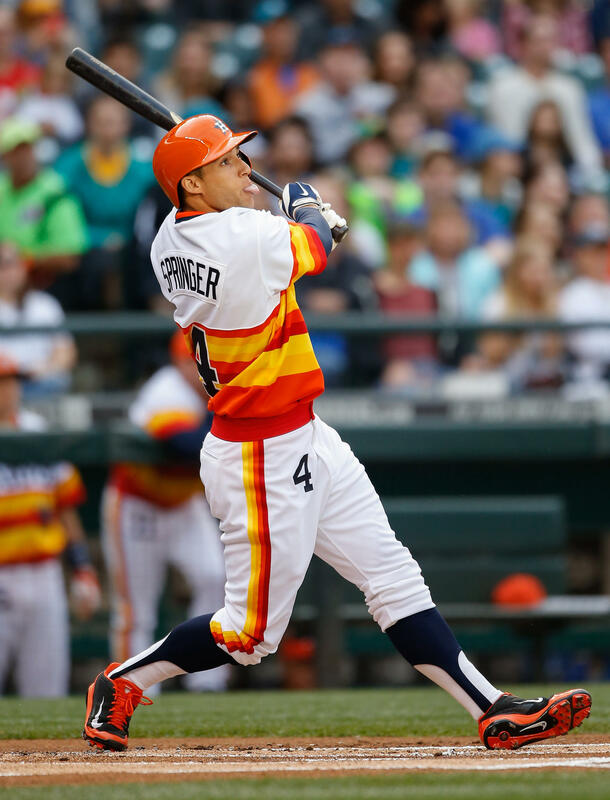 With so much talent, having hit .303 with 37 homers last season in the minors, Springer is one of those players that can make the necessary adjustments to get better and better. With the second half of the season beginning, Springer is arguably the players who needs the most watching, as he could have an extremely impressive final few months. – How many teams can make a solid push at the playoffs? Probably the most anticipation surrounds the division races, where there are numerous teams that still stand a theoretical shot at one of the ten playoff spots (six division winners, and four wild cards). The Orioles, Tigers, and Athletics currently stand atop their given American League division, with the Nationals and Braves (tied), Brewers and Dodgers holding the first place slot for their National League division. But there are multiple teams that could be in their place once the end of the season rolls around. The Orioles currently hold a four game lead in the American League East, however, the Blue Jays and Yankees are going to do their part to make the O’s feel pressure in the coming months. While the Blue Jays held the top spot for a long time before falling down a bit, and although the Yankees are struggling to stay in the race, anything can happen, and that’s reason enough to watch the race in the east. Detroit has a rather big lead over the second place Royals, but after losing the spot to the Royals earlier in the year, they need to keep an eye on Kansas City. It has been “the Royals’ year” for the past several years, with people predicting season after season that they would finally reach their full potential. And therefore, while they won’t likely find themselves beating out the Tigers, they very well could capture one of the wild cards. One of the most impressive teams for the past few years has been the Athletics. Consisting of players who wouldn’t appear to have much of a shot against the rest of the division on paper, the A’s are once again surprising many. Not far behind them are the Angels, who, led by Mike Trout, have finally been able to see all of their key players make full contributions. Less than two games back of first, the Angels are on the verge of a special season. The National League East division has the Nationals and the Braves at the top, with both standing a good shot at being there at the end of the season. The only question that remains is which one of the two will finish in second. The Nationals are a better team as a whole, and if Bryce Harper can post superstar caliber numbers, they could run away with things. However, if the Nat’s fail to capitalize, the Braves could once again win the division. But while the National League East has the closest teams, the NL Central is arguably the most competitive, as three of the four teams chasing the first place Brewers are less than four games back. Those three teams being the Reds, Cardinals and Pirates, any of the three stand a good shot at finishing in first. It will come down to who plays better baseball and finishes out the year on a strong note. It’s basically a two-team race between the Giants and Dodgers for the first place spot in the National League West. Though it’s not as competitive of a division as most of the others in baseball, it’s going to be exciting to see who goes on a hot streak to take the first place spot. As of right now, the favorites are the Dodgers, who were predicted at the beginning of the year to make the playoffs fairly easily, but the Giants aren’t too far removed from their 2012 World Series title, and could potentially make things interesting. But the only thing that’s for sure in baseball is that you never know what to expect. Teams that you never thought had a shot can go on a historic streak and shock everyone. And thus, with less than three months to go, the baseball world is in for an action packed finish to the season. The wait is finally over for Pirates fans. Gregory Polanco — the 12th overall ranked prospect in all of baseball, and one of the highest praised young outfielders in years — is set to make his MLB debut later tonight against the Cubs, receiving the call after second baseman, Neil Walker, was placed on the disabled list. Set to play right field for the Buccos, Polanco is joining an already talented outfield of Starling Marte (left) and Andrew McCutchen (center), taking over for Josh Harrison, who has done a fantastic job this year in right field, hitting near .300 and making numerous spectacular catches. Nonetheless, replacing Harrison with Polanco instantly makes the Pirates outfield one of the best in baseball. And that’s why, in the minds of many baseball fans, the arrival of Polanco is long overdue. After getting off to such a great start to the year at Triple-A Indianapolis, the idea of a big league call up for Polanco began to gain mention (several rumors were started just in the past week regarding a promotion), but when he continued to stay hot, making it up to seven home runs and 49 RBI’s, to go along with a .347 batting average before his call up, Polanco truly left the Pirates no other choice. With the Pirates struggling somewhat so far this season, the hope is that the young, talented Polanco will arrive on the scene and help turn things around. Sitting three games back of .500, and 7.5 games back of first place, it’s still too early to count out the Pirates, especially now that Polanco is going to get some time for the club. Despite lofty predictions being made for this year after the Pirates made the playoffs for the first time in twenty years last season, at this point in 2013 they were eleven games above .500, which is allowing understandable concern to come into play. But could Gregory Polanco’s mere presence truly be enough to turn around the Pirates? Well, though it’s going to take the entire team playing better for the Pirates to go on a run, we’ve seen big time players make big time impacts before. Take Yasiel Puig for example. The Dodgers were doing terribly last season before his call up, and after Puig’s arrival, the Dodgers went on a record-breaking streak that ultimately led them to the playoffs. Sure, the entire team began playing well, but the initial spark undeniably came from Puig. However, while it’s certainly possible that Polanco will kick start the Pirates, it’s not all that likely. The biggest difference between the Dodgers’ team, and the Pirates’ 2013 team for that matter, is pitching — bother the starting rotation and the bullpen. Last season, the Pirates had a magical year, where nearly every one of their pitchers from top to bottom was superb. But the loss of A.J. Burnett this offseason, the recent injury to Gerrit Cole, and the terrible performance by 2013 ace Francisco Liriano, has hurt the chances of an already poor team. 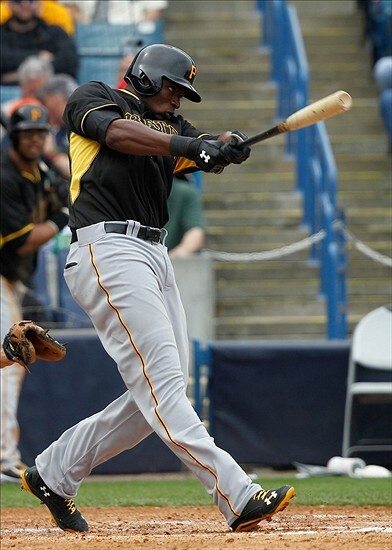 And thus, it will certainly be interesting to see just what type of impact Polanco has for the Bucs. Asking him to put the whole team on his back and carry them to the playoffs for the second straight year is an awful lot to expect from Polanco, but with young phenom prospects, you never truly know what they can do. For the past several years, the Houston Astros have been somewhat of a laughingstock among Major League Baseball, with some people going as far as calling them a Triple-A caliber team at best. Losing over 100 games each of the past two seasons, things weren’t looking any more promising for this season, as many people predicted that the Astros could lose another 100 games in 2014. However, while the Astros are likely to still finish last in their division, and still might reach 100 losses, they appear to be slowly turning the corner. 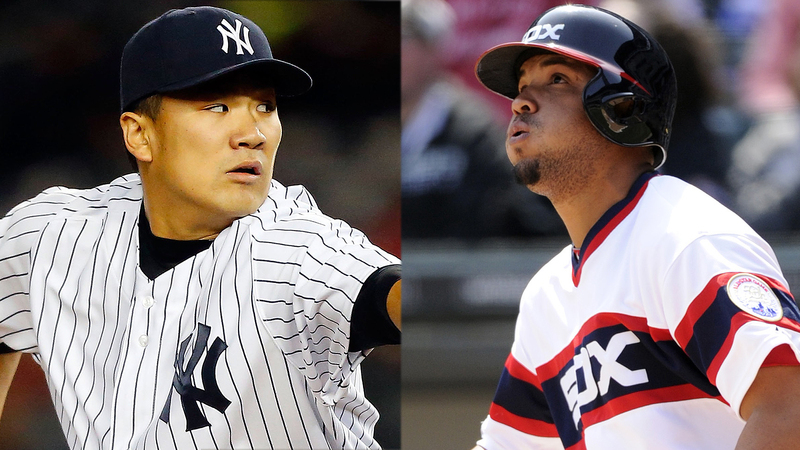 The biggest reason for that turn has been two of their many top prospects getting the call up to the big leagues. First it was George Springer, who blasted 10 homers in his first month, and now it’s Jonathan Singleton, who was signed to a controversial five year, ten million dollar deal, worth a potential thirty-five million, before he ever had an at-bat on the major league level. Hitting .267 with 14 home runs and 43 RBI’s at Triple-A before his call up, Singleton didn’t disappoint in his debut on Tuesday night against the Angels. Going 1-3 for the game, Singleton drew a bases loaded walk and blasted his first career home run — just the fourth Astros player to ever hit a home run in their first game — providing a couple of runs in the Astros’ 7-2 win over the Angels. Overall, Singleton looked really comfortable at the plate, and along with Springer and the rest of the players currently on the Astros, they’re already becoming a good team. But even with these talented prospects now beginning to produce for the big league team — the only true power hitters for the Astros besides Chris Carter and Matt Dominguez — it’s still going to be awhile before the Astros are making any sort of playoff run. But, thankfully, the Astros have a ton of help on the way that should transform them into a competitive team. Making their way to Houston include prospects Carlos Correa, the first overall draft pick in 2012, Mark Appel, the first overall pick in 2013, along with Delino De Shields, Lance McCullers and Mike Foltynewicz. Each of them are part of the top 100 prospects list, and with the majority of them being future game changers, it should be interesting to see how good the Astros can become within the next few years. With the Astros set to add yet another potential star player to their organization on Thursday night, when they receive their third straight first overall pick in the 2014 MLB draft, their prospect list continues to grow and grow. And thus, it should all spell success at some point down the road, once their key prospects reach the major leagues and begin to contribute to the recently struggling club. 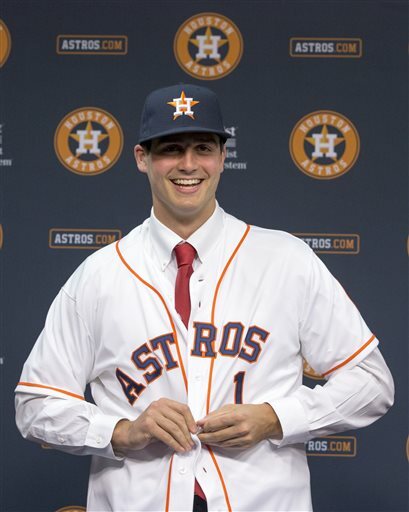 Mark Appel was drafted out of high school by the Tigers in the 15th round of the 2009 draft. However, due to his commitment to Stanford University, Appel didn’t sign, and instead went to pitch at college. At Standford, Appel began as a relief pitcher, only receiving three starts his freshman year, where he posted a 5.92 ERA over 38 innings. Once he was made a full time starter again the next season, Appel excelled, lowering his ERA down to 3.02 for the year. In his junior year of college, after he went 10-2 with a 2.56 ERA, Appel was once again drafted, this time by the Pirates as the eighth overall pick. 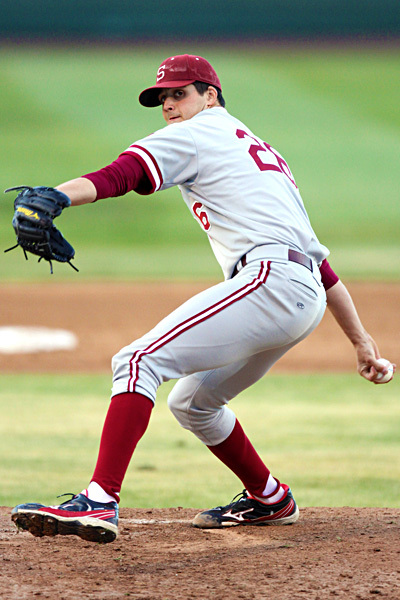 Many felt that Appel would begin his professional baseball career, but he decided to return to college to finish out his baseball career (and degree) at Stanford. Despite some flak from people around the baseball world for returning to college, Appel showed just how good of a pitcher he is, improving to have his best season at Stanford; setting the all-time collective strikeout record, in which he went 10-4 with a 2.12 ERA. After such a successful final year, Appel was drafted yet again, for the third time, by the Astros as the first overall pick in the 2013 draft. Beginning his professional baseball career with Low-A Tri-City, Appel made it up to Single-A Quad Cities in 2013, going a combined 3-1 with a 3.79 ERA. 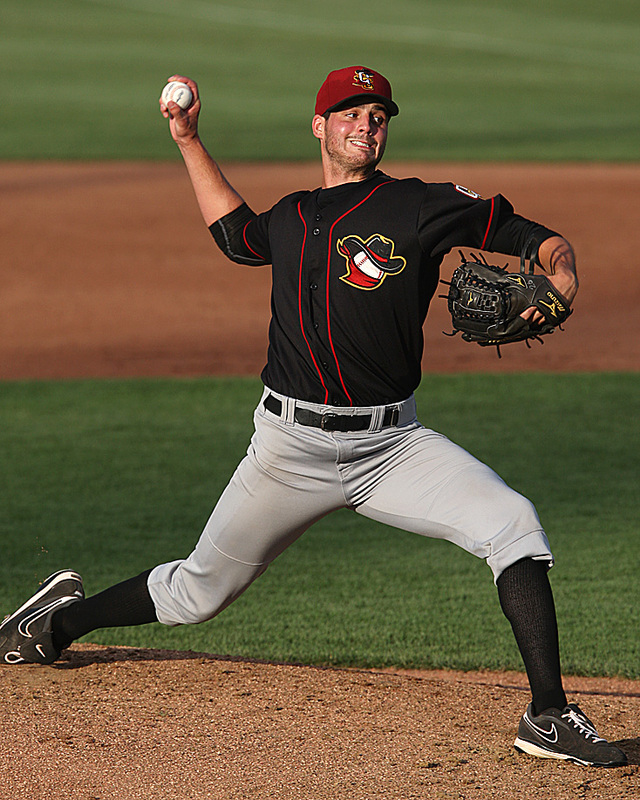 Due to the 106 innings Appel had already pitched in 2013 at Stanford, he was shut down after just 38 professional innings pitched, bringing his innings up to roughly 144 for the season. Appel has an average, to slightly above average, fastball, ranging from the lower to mid nineties, but he can crank it up to upper nineties when needed. He also possesses a good slider and a work in progress changeup that many think will come along. 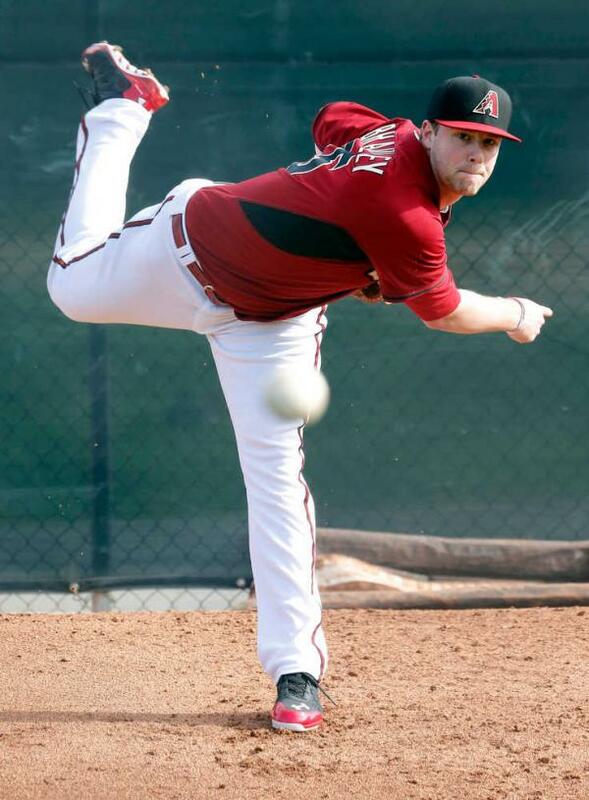 Heading into his first major league Spring Training, it’s been reported that Appel could, potentially, make the big leagues out of camp “if he is one of the best five pitchers out of Spring Training”. However, as many people feel, it will likely be later in 2014, or early 2015, when Houston — his hometown — gets its first glimpse of Appel. 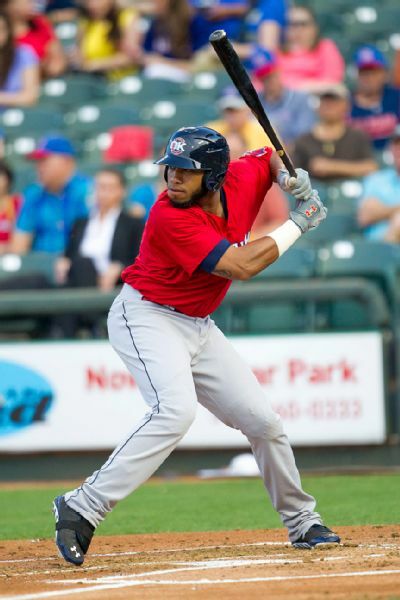 But no matter when that is, with all of the other top prospects in the Astros’ farm system, the future would appear to be bright for them as an organization moving forward, with Appel soon to be leading the way. I first became interested in baseball when I was very young. For as long as I can remember, I have been playing some version of the sport. Growing up, my parents, as well as certain coaches throughout the years, really influenced me and encouraged me to pursue my dream of playing baseball as a way to educate myself in college and professionally. Nolan Ryan was one of the all-time great pitchers and the player I looked up to the most as far as what I wanted to be on the field. He was a fierce competitor who gave his all every single time he got the ball. He competed no matter the score, circumstance, or previous result. Win or lose, you knew he was going to go out and compete again the next time he got the ball. 3.) You were drafted by the Astros in the 1st round of the 2013 draft. What was that process like for you? Where were you when you first found out? Initial thoughts? The draft process is very interesting. As someone who has gone through it three different times in three unique situations, I feel like I have seen it all. Someone expected to get drafted goes through “interviews”, both on and off the field. In my situation, I spoke with general managers and scouting directors, as well as the local area scouts. Answering their questions off the field is important for their evaluation process so they can have a good understanding of the type of person you are. But the factor that matters most is the results on the field — how good you are at playing baseball. The Astros and I had a number of conversations leading up to the draft and on the day of the draft, as well as a few other teams. When the time came for the pick to be made, I felt peace in knowing that I would be exactly where God wanted me to be, whether it was Houston or another team. Bud Selig announced my name and my friends and family who came to visit California (I was preparing for graduation the following week) all celebrated! It was a surreal feeling, knowing that I would be able to have a chance to play in my hometown and the team I grew up rooting for was now the same organization I was a part of. God’s grace is too great. 4.) Before being the number one overall pick in 2013, you were drafted by the Tigers in 2009, and the Pirates, eighth overall, in 2012. What made you decide to attend college instead of going pro out of high school? Why did you decide to return for your senior year at Stanford in 2012 after the Pirates drafted you so high? Like I said, I have been drafted three times and each were unique situations. In high school the Tigers drafted me in the 15th round, even though I told all the area scouts I spoke with that I was planning on attending Stanford. Dreaming about being a pro baseball player, it was fun to entertain the thought of signing as a senior in high school, but I knew that Stanford was where I needed to be for my future, both in baseball and in life. Unsure if I was ready to play minor league baseball, I knew college would allow me to grow up, become a man, and still play baseball at a very high level. In 2012 the Pirates drafted me with the 8th pick in the draft. The decision to return to school for my senior season was the toughest I have ever had to make. There are a number of factors that go into a decision of that magnitude: baseball development and career, education, regrets (I will explain this one later), desires, and money. Also, as a follower of Jesus, relationships with my coaches, teammates and fans, combined with being a part of what God is doing in this world, is very important to me. For the baseball development, I did not see an advantage to either signing or returning to school. Development really comes down to how badly you want to get better as a player. I knew that I would be able to improve both at Stanford and in the Pirates’ organization. As far as education went, it was a no-brainer to return to school. Playing my senior year allowed me to finish my degree in Management Science and Engineering. As far as regrets go, when I made my decision, I did not want to have any regrets. I didn’t want to spend my idle time thinking about what it would have been like if I chose the other option. Going back to Stanford meant I would have a chance to play in Omaha (which we didn’t achieve), finish my degree before starting a professional career, and continue to be involved in campus ministries that I had been involved with the past three years. Those are some things that I would have wondered about a lot if I had signed. When it came down to it, money out of the question, I wanted to go back to school, not for the lack of things signing professionally had to offer (which wasn’t much), but for the opportunities I had during my senior year at Stanford. But, as everyone knows, money was involved. And it was a lot of money. There are two somewhat conflicting things going on with my situation. On one hand, I was offered a lot of money, and I mean a lot. And on the other hand, I wasn’t offered what I believed my value for my talents was in the draft market under the current rules. So do I stick to principle and go back to school, or do I chase the money and sign? It was a tough question to comprehend. There are financial benefits to both options, as well as financial risks (well, maybe there were only risks for returning to school). If money was the most important thing to me, I would have signed 100 percent. I knew by returning to school, I would give up 3.8 million dollars. I also knew there were a few things that could go wrong: injury and underperformance were the two main risks. I also knew there were benefits: education, relationships, the opportunity to get better, and a potential financial gain. The thing most people don’t realize is that I had zero regrets. No matter the outcome of my senior season and the draft that followed, I would have been extremely happy with the decision. As confirmation that I was exactly where God wanted me to be, within the first two weeks of being back at school four members from the Stanford baseball team had accepted Christ as their Lord and Savior through the team bible study! It was so cool to be a part of the work of the Holy Spirit! 5.) In your senior year of high school, you were a part time relief pitcher and didn’t become a full time starter again until your sophomore year of college. Having been both a starting and relief pitcher, which did you find more challenging? Both relieving and starting have their challenges. I have much more experience as a starter, and at higher levels of competition, I have only started. Personally, I think the difference is the mentality and routine. A reliever needs to mentally prepare himself to pitch 1-2 innings every single night, in general. A starter must prepare mentally to pitch five or more innings once every five days. The two are difficult to compare. With that being said, I would say that starting has been more challenging for me, probably due to the difference in talent level between high school and college, but also because there is so much to learn as a starter. I feel like I learn something new every single day. 6.) Talk a little bit about life on the road: What’s the most difficult aspect of it? What do you do to pass the time? Life on the road can be very difficult. There are many things that, as a Christian, I need to prepare for. Wherever you go, you will have decisions to make from the time you wake up to the time you go to bed that will affect both how you play and how your teammates see you — as a man of integrity or a hypocrite. From how I spend my time in the hotel room to where I go and what I do after the games, there will be temptations of various kinds; whether it is alcohol, drugs, etc. For me, reading is something that I enjoy doing, starting with the Bible, but also books for entertainment purposes. Reading engages the mind to learn and grow, especially when playing baseball every day can get repetitive and mundane at times. Spending time with teammates is a great way to spend your free time. These are the guys that you hope to win a championship with, and in my opinion, the better the team knows and respects each other off the field the more we will play together as a unit. I also believe that building relationships is the first step to discipleship, what Jesus has called us to do as believers. Coming along side people and meeting them where they are, encouraging them and building them up, investing in their lives speaks a lot louder than just telling them about an alternative lifestyle through knowing Jesus that would be better for them. Actions always speak louder than words. 7.) The Astros haven’t been doing well lately, finishing with over 100 losses the past two seasons, but they have great talent down in their farm system. With players such as yourself, Carlos Correa and George Springer, among others, how do you see the team faring over the next few years? Being a part of the Astros’ organization is an incredible blessing. Not only are they my hometown team, but I believe they are a team that will be good quickly and good for a long time. Buying in to the system now and getting to know all the players right now will build a foundation for the future of the organization at the big league level. I believe that the Astros will be the most improved team this year, and will continue to improve year after year. As we develop and add new players to the major league team, the chances we win more and more games only increases. 8.) What do you feel went well in 2013? What are your goals for 2014? My 2013 pro season was great. I’m not necessarily pleased with the end of year statistics as a whole, but I do believe I continued to improve and to learn about professional baseball and what to expect for my 2014 season. This season my goals are simply to work as hard as I can every single day and allow God to take care of the rest. I am not going to worry about which level I start out at or when I make it to Houston this year (if at all). The great thing about being a disciple of Jesus is knowing that wherever I am in life, I have purpose and there is work to be done for the kingdom of God. Don’t get me wrong, I am going to work with all that I have in order to reach the big leagues, but while I’m working, I’m not going to worry, and I’ll have some fun! Favorite TV show: Currently, ‘Parks and Recreation’. I can really identify with Ron Swanson. Favorite food: Steak. My advice to kids hoping to play pro ball is to work hard in school, first and foremost. Secondly, have fun while you are playing. Don’t let the fun of the game be overshadowed by the worry and fear of not achieving the goals that you have for yourself. Baseball is a fun game, and I have seen too many players in college and pro ball not enjoy it because they want to be the best so badly that their desire for perfection has removed the joy they once had while playing the game. Don’t lose that childlike spirit. Big thanks to Mark Appel for taking the time to answer my questions.